Advanced product designed to inhibit catabolic and anabolic processes to maximize your body. Perfectly suited to the weight loss and weight. 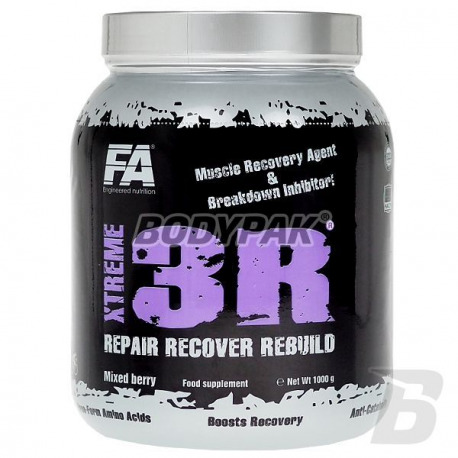 Powerful workout formula designed for Repair, Recovery and Rebuild of muscle tissue. Contains sweeteners. Contains a source of phenylalanine. Xtreme 3R provides crucial physiologically active substances, including Essential Amino Acids and Glutamine, which effectively stimulate protein synthesis. 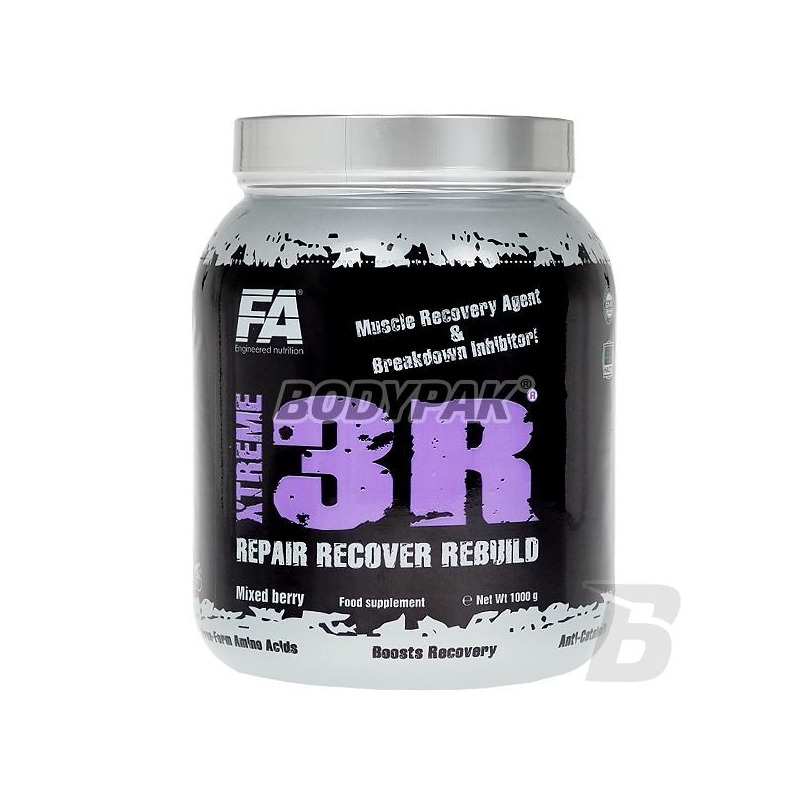 Xtreme 3R enhances body antioxidant capacity, accelerates muscle recuperation and supports body immunity. Active ingredients of Xtreme 3R augment muscle buffering capacity and strengthen detoxification what allows for increase of training load. Ingredients: mixture of amino acid (L-glutamine, L-leucine, L-asparagine, L-isoleucine, L-valine, L-lysine, L-threonine, L-proline, L-alanine, L-serine, L-arginine, l-histidine, l-methionine, l-phenylalanine, l-tyrosine, l-glycine, cysteine), beta-alanine (as CarnoSyn), taurine, alpha-ketoglutran arginine, a mixture of vitamin (niacin - nicotinic acid amide, vitamin B6 - hydrochloride pyridoxine, vitamin B12 - cyanocobalamin), flavor, dyes (E162-1,3,4,5,6,7, E163-5,6, E160a-1,4), salt, sweetener (acesulfame K). Applies only to taste 1-tropical orange, vanilla-2, 3-raspberry, peach-4, 5-berries, 6-vanilla-berry, strawberry-7. Lepsza regeneracja po treningu, na prawde się sprawdza!